Hypothetically speaking, let’s say you’re playing without a GM, either solo or collaboratively with friends. You’ve got your characters, and a rough idea of the kind of fantasy world you’re in. And for argument’s sake, let’s say you’ve all met in the proverbial Tavern. You don’t have a GM – so what’s the adventure? It can be fun to run the search for adventure as a scene in which the characters split up to look for work, and then meet up again at the Tavern to report on what they’ve found. Here are my rules for running scenes of that kind collaboratively. Step 1: Split up and look for work! 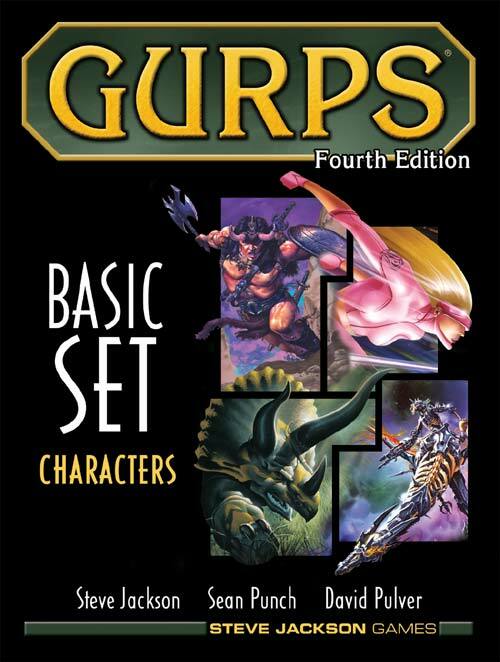 Note: this step is basically an expanded version of the rules for “Finding a Quest” in GURPS Dungeon Fantasy 2: Dungeons, p3. Get that PDF for much, much more awesome stuff! When it’s time to split up and look for work, each player rolls against a suitable skill to see if they can find any leads towards a possible adventure. Area Knowledge to know of a local cavern, ruin, or wilderness area that might reward exploration. Carousing to milk fellow Tavern-goers for leads. Current Affairs (Any) to keep an ear out for suitable leads in the news, gossip, rumor-mill etc. Hidden Lore (Any) to know of a legend worth following up, or else a secret site or artifact. Meditation to pray for spiritual guidance. Occultism to know of a magical site or artifact – or even an event such as a stellar alignment. Propaganda to advertise the party’s services. Public Speaking to impress potential employers while preaching, declaiming, or similar. Savoir-Faire (High Society) to curry favor with wealthy and influential potential employers. Streetwise to find a lead by keeping an ear to the ground for rumors from the shady side of town. Writing to compose convincing letters-of-self-recommendation to potential employers. If a player really wants to use a different skill to look for work, and can offer a plausible (or at least entertaining) justification for it, then it’s usually best for the group to be generous and allow it on a one-off basis. So if the Thief really wants to roll against Lip-Reading to eavesdrop on some other thieves discussing plans for their next big score, go head and let her! Exceptions: combat skills should not really be used for this; nor should skills that see a lot of use elsewhere in the campaign. And no pulling this trick again and again with the same odd skill! For repeated, long-term use, players should buy up one of the specific skills listed above. Success means finding a lead; failure means finding nothing. Critical success means that you find work – and the pay and conditions look great! Gain a +2 bonus when rolling on the “How Much Does It Pay?” and “How Dangerous Is It?” Tables. Critical Failure means that you get caught doing something criminal, manage to offend someone, or otherwise find yourself in the wrong place at the wrong time. Roll up an Escape adventure for the whole party! Step 2: What’s the Adventure? Anyone who has found a lead towards an adventure heads over to A System for Creating Fantasy Adventures to determine what kind of adventure they’re found. Step 3: Report back and debate! Now the PCs meet up in the Tavern once again, and everyone takes turns reporting back on what they’ve found. If everyone makes an amusing or atmospheric story out of what they did to find their lead, this can be a lot of fun! Note that players who critically failed should go last – it’s best to give everyone a chance to share the story of how they found their leads, before blowing it all out of the water with the compulsory Escape adventure!